Say you went to Baguio for that convention or business meeting and you had one extra day (from sunrise to sunset) with someone who is as adventurous as you. This was what happened on that particular cold December day. 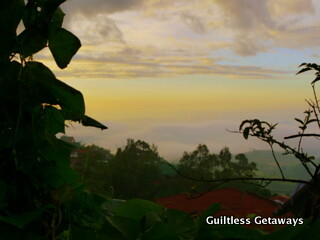 We found ourselves revisiting the Baguio we knew as a child on our own. 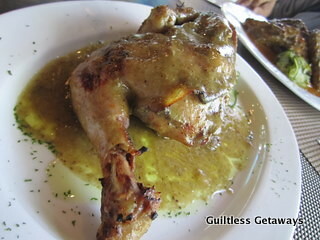 Here's my Guiltless Baguio experience before that extra day. 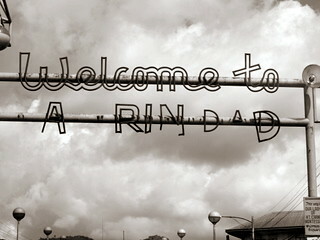 I enjoyed looking for these particular Baguio icons while on that 5-hour road trip to my destination. Icons that say "What do I know already about Baguio?" 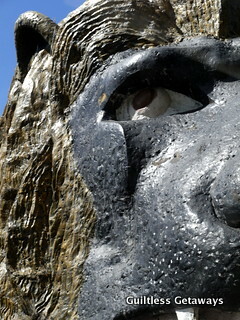 You know you're almost there when you see the Lion's head. You start to recite Joyce Kilmer's Trees in your head and these placards remind you of the words you've forgotten, one zigzag turn at a time. My first time in Baguio coincided with the time I just learned that poem in school. 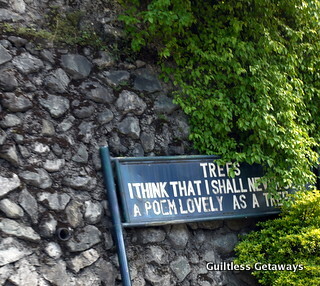 Try to find the whole poem in Baguio now and you're up to a challenge. 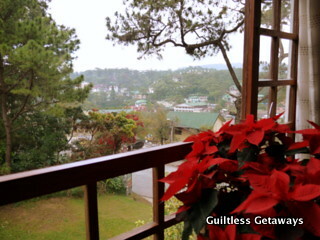 The chimneys and houses all over Baguio remind me of my favorite holiday all year round. 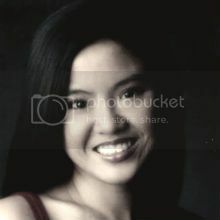 Baguio, for me, was always a place where I could find a mix of Filipino customs like Christmas carols, gift-giving and family gatherings coupled with romantic and movie-like snowy cold American Christmases with pine trees, fireplaces, marshmallows and roasted chestnuts. The feeling is intensified if you go there in December. The cold weather excites me because I get to rummage my closet and bring my jackets and boots as if I were to go abroad yet I am still here, right at home in the Philippines. What we did plan on this day was something we never did before - we got lost in our childhood memories. We didn't know the roads of Baguio and we didn't have any maps. All we knew was that we wanted to find these places and we did on that full day. 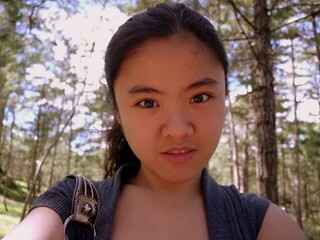 I said I wanted to smell the pine trees in Camp John Hay. 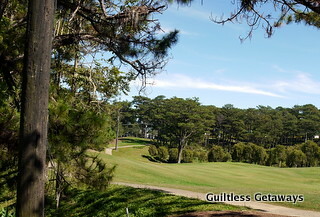 I learned from my September Baguio trip that it was the place to go to if you're looking for pure piney experience. We didn't find it but we strolled a little of the grounds, we took pictures and had a wonderful experience with nature. We made a mental note to bring a picnic basket next time and to go there as early as 5 a.m. to catch that pine scent (according to our friend from Baguio that we met for our late lunch). 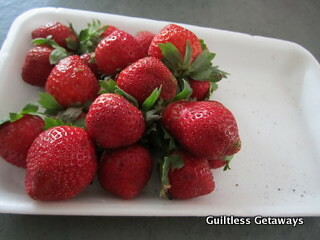 We figured we had time to look for the strawberry farm in La Trinidad in Benguet, which was supposed to be near Baguio. It took us more time to ask around, follow the jeepneys and get lost while looking around. 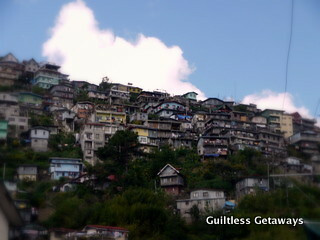 These houses on the mountains makes "Baguio" Baguio (provinces near it like Benguet included in this "context"). We didn't want to risk getting lost up there. 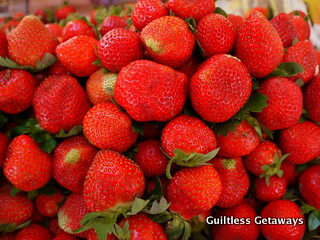 We finally found the strawberries that made "Baguio" famous. 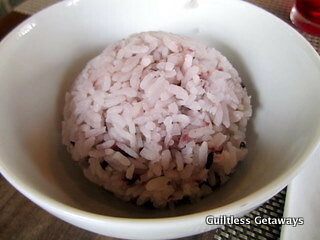 I loved even just the thought of strawberries in the Philippines. 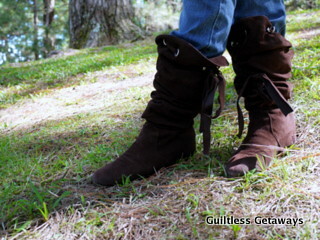 It sounds so rare and according to what I learned as a child, you can only find them abroad or in Baguio. I never really found out when the right season was so I repeatedly get a little disappointed when I go there and the farms have little strawberries for me after that long road trip. 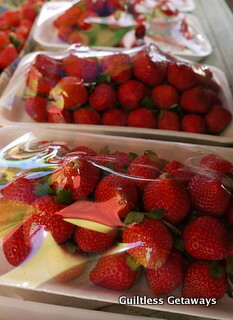 For me, "Baguio" always has strawberries. The price will just kill you when it's not in season. We brought home strawberries already packed conveniently (they are packed so that the red part has no contact with the other red parts), ready for some Strawberry Sinigang experiment when I get home (get cooked ordinary pork sinigang then put the strawberries after you turn off the flame, original Strawberry Sinigang in Mines View Park Hotel also in Baguio last September). Note: To make strawberries last longer, remove the ones that have gone bad when you get home (keep the good ones from touching red to red) and reseal them super tight (as in no holes) with a cling wrap. 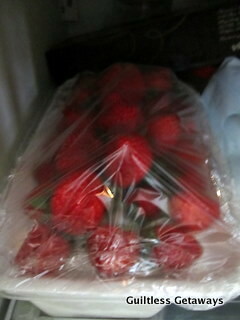 Keep the strawberries in a dark and cool place in the fridge. Wash them only and remove the leaves when you're ready to eat them. This method was one of my discoveries after this trip. This was a picture of the strawberries after 1.5 weeks. Near the strawberry farm is a vegetable haven. 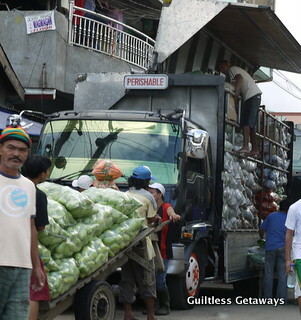 Cheap and fresh vegetables can be bought here, most of them are loaded by trucks going to Manila in this La Trinidad "bagsakan". Finding a parking space to buy veggies from this dome is a concern. "Baguio" greens and vegetables are crisp and deliciously fresh, perfect for salads and chopseuy (you can actually request for a chopseuy mix). 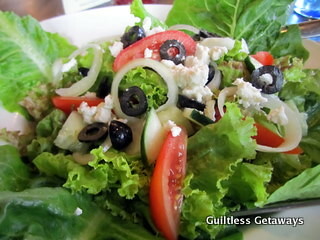 I prefer eating vegetables in Baguio and I would definitely go back there for more. 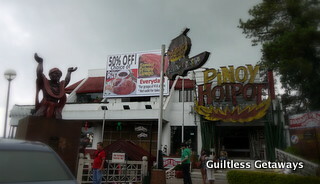 We were getting hungry so we made our way back to the center of activity in Baguio. 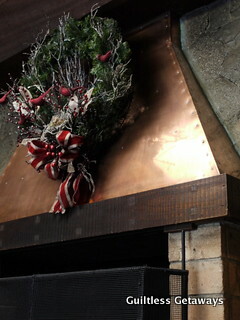 We met with a friend who lives there and he suggested that we eat at Hill Station. Finding it was part of the adventure. 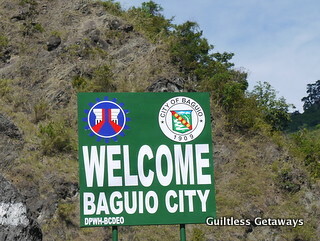 We only had "near SM Baguio" as a guide. Surprisingly, we found this super old family favorite of mine next to it. It's the Barrio Fiesta with the big Igorot! I remember the photos with the statue as a child and the hot bouillabaisse we would always eat as a family that was so perfect with Baguio's cold weather. The memories of Baguio when I was little just kept on coming back. Knowing how to get there now was so overwhelming because I've always said before my September Baguio trip that there was nothing memorable and it was boring in Baguio. 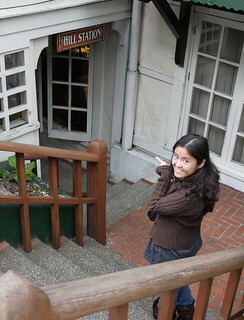 The Hill Station restaurant entrance was located beneath the hotel. 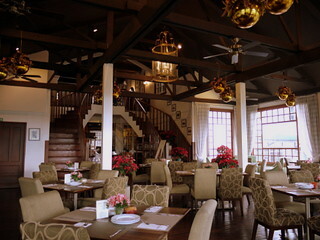 Inside was the perfect ambiance to end the day of getting lost in Baguio and to catch up with a friend. 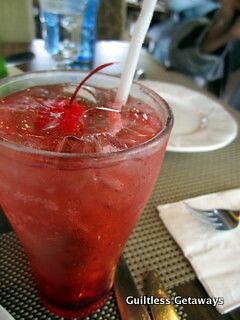 I was actually thrilled about my Shirley Temple, the Greek Salad and the Chicken with Red Rice from the Cordillera. 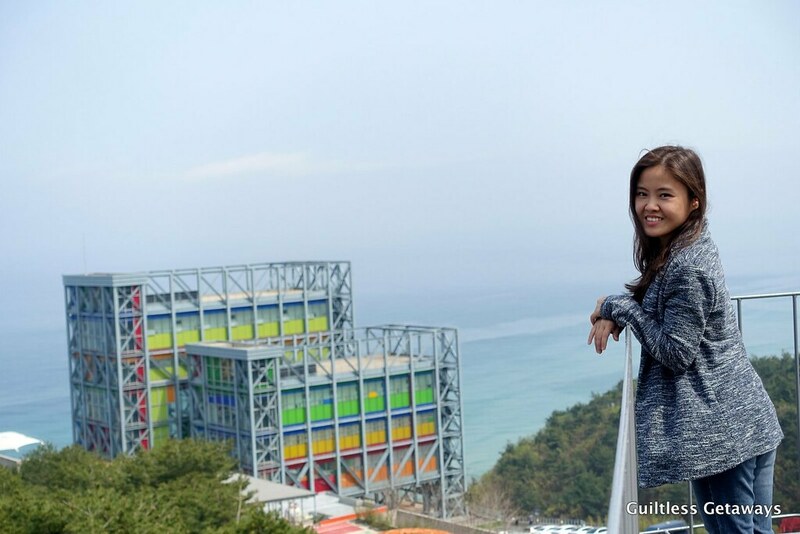 There is no better way to reward yourself than to make another discovery - that there are more places that will take your breath away, natural or man-made, in Baguio. If we really had the full day (not counting the travel time to go back home), I wouldn't mind going on another food trip and find the evening jamming hang-outs of local Baguio talent. 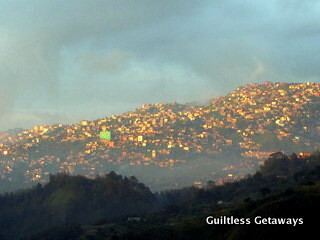 On our way back to Manila, I looked back and saw Baguio from a distance, gleaming in gold while the sun was setting. 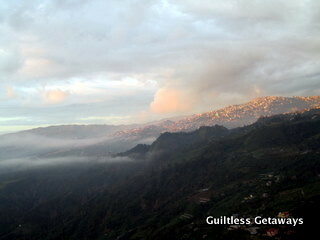 There are definitely some things about Baguio that I would gladly visit over and over again even if I only have one day. Originally written on December 19, 2010 (Sunday). Wow! Baguio seems to be a nice place. I wish I could have my road trip there. But sadly, it's not possible right now. When going to a road trip, checking your car what you should do to avoid any problems on the road, right? exactly! to get there, you'll have to pass through a long winding road too. there are Victory Liner buses leaving every hour from Manila to Baguio though, you may want to try that one. I heard there's free WIFI on the bus now=) The trip is shorter now, around 5 hours from Manila, because of the opening of the SCTEX route. Hi Lee! I use maps.google.com then plot them on the map =) use "directions" or "search nearby" then add the locations one by one. or i just list down the addresses and phone numbers then call or ask around.. hehe.